Sant'Andrea a Pigli 10 km from Arezzo: The house Domivecchi renovated in Tuscan style offers a unique and evocative. The property is located in Sant'Andrea a Pigli, in the municipality of Arezzo, in a hilly area on the slopes of the natural park of Monte Lignano. The house is surrounded by olive groves with panoramic views over the countryside of the Valdichiana and Mount Amiata. Very old semi-detached house Domivecchi, 300 m a.s.l., surrounded by meadows and fields. 10 km from the centre of Arezzo, 20 km from the centre of Cortona, 80 km from the centre of Firenze, in a sunny position on top of a hill. Private: garden 200 m2 (fenced), orchard. Arbour, garden furniture, barbecue. In the house: central heating system, washing machine. Room cleaning on request (extra). Cook on request (extra). Parking at the house. Grocery 800 m, restaurant 2 km, bus stop 800 m, railway station 10 km, outdoor swimming pool 10 km. Nearby attractions: Civitella in Val di Chiana 20 km, Monte San Savino 23 km, Rapolano Terme 45 km, Siena 65 km. 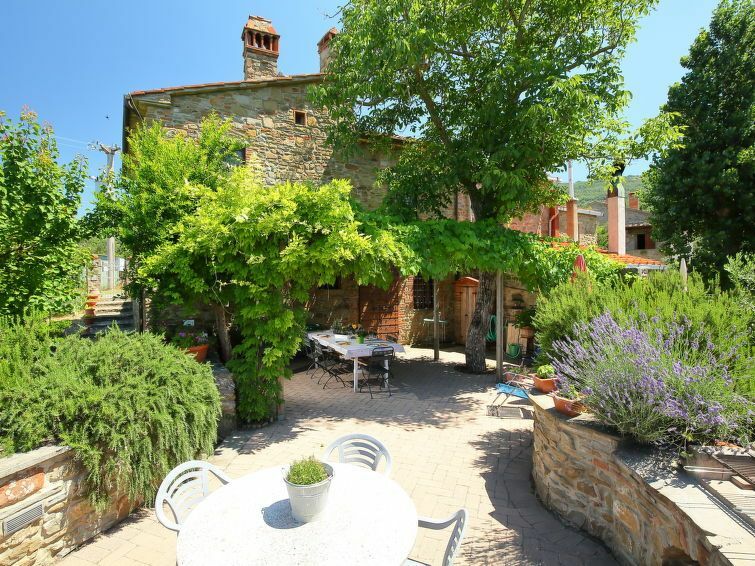 Nice peaceful setting in traditional Tuscan house. Great terrace for eating meals and just enjoying the scenery. We spent two wonderful weeks at Domivecchi in the Arezzo province of Tuscany. The home is very spacious with comfortable beds, and a fabulous outdoor area. We took many day trips to the fabulous hill towns of Tuscany and Umbria. The only downside is - the location is not within walking distance to area services. Other than this - I would highly recommend Domivecchi for your stay in Tuscany! Sehr schönes Haus, super Lage und sehr freundlichen Vermieter!! !